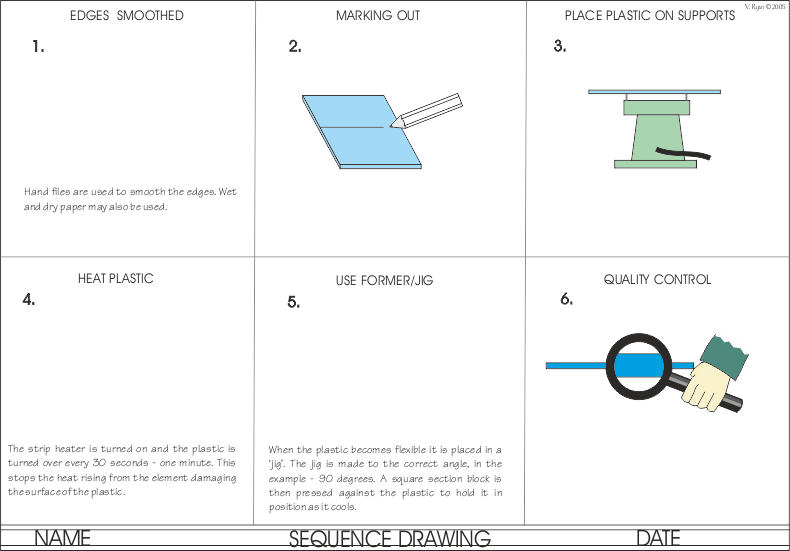 The sequence drawing shown below describes the stages involved in the use of a strip heater to heat and fold plastics such as perspex. Draw your own version of the sequence drawing, adding stages that you feel have been missed out. Alter the drawings to suit the equipment you have in your workshop. Using a Strip Heater: Complete the worksheet below by adding the missing drawings and missing text / notes.